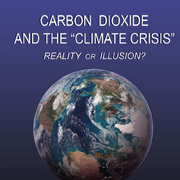 Carbon Dioxide and the "Climate Crisis" - Reality or Illusion? Al Gore, former U.S. Vice President and Nobel Peace Prize recipient, calls the host of negative consequences that he predicts will accompany the on-going rise in the air's CO2 concentration "a planetary emergency -- a crisis that threatens the survival of our civilization and the habitability of the earth." James Hansen, Director of NASA's Goddard Institute for Space Studies, similarly claims that the earth "is close to dangerous climate change, to tipping points of the system with the potential for irreversible deleterious effects," and he contends that "ignoring the climate problem at this time, for even another decade, would serve to lock in future catastrophic climatic change." Do these dire contentions reflect reality? Or do they portray but a marvelously-crafted and hugely-effective illusion? 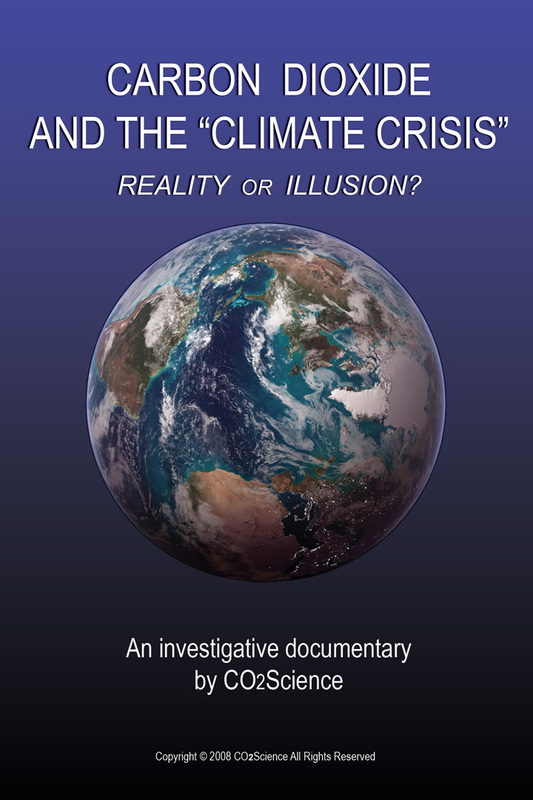 A new production -- Carbon Dioxide and the "Climate Crisis" - Reality or Illusion? (copyright © 2008 CO2Science) -- explores this perplexing problem through an insightful review of numerous scientific studies that have been largely ignored by the world's climate alarmists, and by illuminating commentary provided by a number of researchers who have spent the better parts of their careers studying the many facets of this complex subject. The approximately 53-minute video is introduced by the Center's President, Dr. Sherwood Idso, and its Chairman, Dr. Craig Idso, after which the following topics are discussed: Climate Models, Earth's Climatic History, Extreme Weather Events, Ice Sheet Disintegration, Sea Level Trends and Atmospheric Methane. In addition, the entire text of the film is accessible from a pdf file in the link below, along with an extensive list of complete citations to the peer-reviewed scientific papers that support the many footnoted statements of fact that are presented in the text. See what science really has to say about the issue. Watch the video, study its text, and examine the scientific literature that is cited therein. Then, decide for yourself. Is the ongoing rise in the air's CO2 content truly "a planetary emergency -- a crisis that threatens the survival of our civilization and the habitability of the earth"? Or is it something far, far different from what the world's climate alarmists incessantly claim it is? These are high-priority questions that all of us are going to have to confront in the not-too-distant future. We owe it to ourselves, and to all who will follow us, to be thoroughly prepared for the choice we will have to make when the day of decision arrives.